Marketing automation technology is just one component of the transformation program required to drive personalised and engagement-based marketing, two teams from Microsoft and Citrix have discovered. The technology vendors were among a host of B2B companies sharing their marketing automation experiences at this year’s Marketo Marketing Nation Summit in San Francisco. While both agreed the technical integration piece is significant, each shone a spotlight on the larger operational and cultural challenges marketing teams face when on-boarding these capabilities. Citrix has spent the past four years rolling out and optimising its marketing automation capabilities globally as a shared services resource. Director of marketing technology and services, Sylvia Gudat, said the starting point was not the technology, but defining what the end game should be and a “success blueprint” to get there. This helped guide strategic roadmaps, as well as drive tactical activity, she said. Citrix’s marketing services team asked the wider business to identify goals in order to arrive at specific KPIs, Gudat said. Her team uses three measures to gauge success: Pipeline indirect/direct influence; demand ROI; and contribution to the prospect mix. Once these were in place, Gudat’s team looked at the current state of the business and best practices using a capability map to produce a scorecard and roadmap for engagement marketing. Citrix’s marketing automation transformation program was initially about building a centralised platform to replace standalone solutions per geography. But as the technology came online, Gudat said it had to determine the right operational model to support new services. 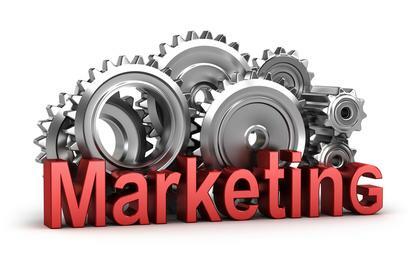 The marketing automation project commenced in North America in 2011 and first focused on inbound marketing. Gudat said Citrix formalised the way it was managing the integrity of its systems, giving teams training and assigning them specific duties. The vendor also introduced custom campaign templates for specific buyer stages and products so marketers could pick a master, clone it and make subtle changes to suit their programs, Citrix marketing systems program manager, Chris Morris, explained. “These were a way to not only introduce the concept of standardisation and having consistency, but also to empower the emarketing team to quickly deploy a campaign, whether that be through email and landing pages,” he said. By 2013, Citrix had started doing outbound as well as inbound marketing using the Marketo platform. It also extended the user base to other geographies, Gudat said. Single templates were also replaced with dynamic forms aligned to a buyer’s journey and based on the amount of information collected, real-time identification and targeting. At this point, Gudat said Citrix started introducing behavioural and predictive scoring models, tapping into external data and analytics services from Lattice Engines. This saw the vendor increase conversions in the top of the funnel by about 25 per cent, she said. Morris said another win was replacing Excel spreadsheets with marketing financial management tools for budget and spend management, as well as implementing the Marketo Sales Insight platform for the sales function. This year, Citrix is expanding predicting analytics and propensity modelling for better customer and prospect targeting. Gudat said it’s bringing in additional intelligence from complementary platforms. On average, her team is gaining 750 leads for the sales team on a daily basis from its activities. None of this could have happened without changing how the organisation thinks about marketing’s role, Gudat said. Key principles included focusing on smaller, tangible improvements that can be delivered periodically, as well as promoting a startup culture within the marketing team and organisation that embraces a “fail fast and fail forward” mentality. “With any of our investments, establishing lifecycles also becomes critical,” she said. This is particularly important because new initiatives require trade-offs around existing products and programs, and a balance between self-service and centralised support, Gudat said. Training and education, as well as well-understood measurements, are vital. Thanks to the work done around marketing automation, Citrix has a range of operationalised marketing services now being delivered a via its ‘demand centre of excellence’. “The way we progressively introduced new services has allowed us an opportunity to not only confirm the technology’s importance, but also the process itself as well as roles and responsibilities around execution,” Gudat added. Over at Microsoft, group marketing manager for its cloud-based Azure offering, Charles Eichenbaum, said the decision to rollout a marketing automation platform in 2013 was triggered by the need to approach sales differently. But cloud and Azure represented a new paradigm and required Microsoft to engage again in category marketing, Eichenbaum said. As a result, a team of three marketers, including Eichenbaum, set out to shake up the software vendor’s approach. A big component was educating prospects and customers about the new product category. Up until then, Microsoft’s Azure team had been calling those who signed up for a product trial and already educated themselves, but hadn’t focused on those unaware or unsure of the new cloud offering. “Our vision was to provide a consistent and end-to-end customer experience and a common platform so that we could easily manage this and optimise the business,” Eichenbaum explained. In the second quarter of 2012, the team discovered marketing automation and spent a year selling the concept to the rest of the organisation. To do this, it storyboarded out what the buyer experience could be like with marketing automation using cartoons and infographic. It then chose Marketo as a platform in Q2, 2013, implementing it within a few months. The initial rollout failed, Eichenbaum said. Eichenbaum and the team went back to the drawing board and re-architected the marketing automation platform and integration with CRM, along with the “marketer journey we wanted to enable”, he said. Key lessons included using normalising data, understanding business processes and existing Microsoft operational models, as well as extending marketing automation out from the Azure division to other product divisions and field marketing teams globally. The new-look approach launched in Q1, 2014, and a global rollout started from July. Eichenbaum’s team has trained more than 40 people, launched support programs, nurture streams, and built a community called the Azure Demand Centre using Yammer collaboration tools. It also created a series of playbooks and webinars, as well as templates. So far, 160 users in the field are using the marketing automation platform capabilities, and Microsoft has run 900 programs in the year to date. According to Eichenbaum, feedback is highly positive. Change management is key. “For Microsoft, we have a rhythm in the business and financial structure. It’s important to have a timeline for the rollout and priorities that recognises this,” Eichenbaum said. It also required investing heavily in education. “Some of this is about the tools in marketing automation, but a lot is around changing the way people think about marketing,” he said. A recent initiative was a user summit in January involving experts from marketing advisory firm, SiriusDecisions, and practical examples from different business unit leaders. Eichenbaum said 200 of its marketers participated globally, with 100 per cent saying they learnt something they could take back to their teams immediately. Lock down an operational model. One thing that helped was outlining corporate and field marketing’s strengths and responsibilities, Eichenbaum said. For example, the corporate team is responsible for program assembly, campaign distribution, governance and data integration, while field teams are tasked with local program strategy, campaign execution, localisation and getting leads into the system. The playbooks, nurture streams and a Sharepoint support ticketing tool also helped. Have a North Star. “It’s important to know where you are going, so have a capability model,” Eichenbaum advised.